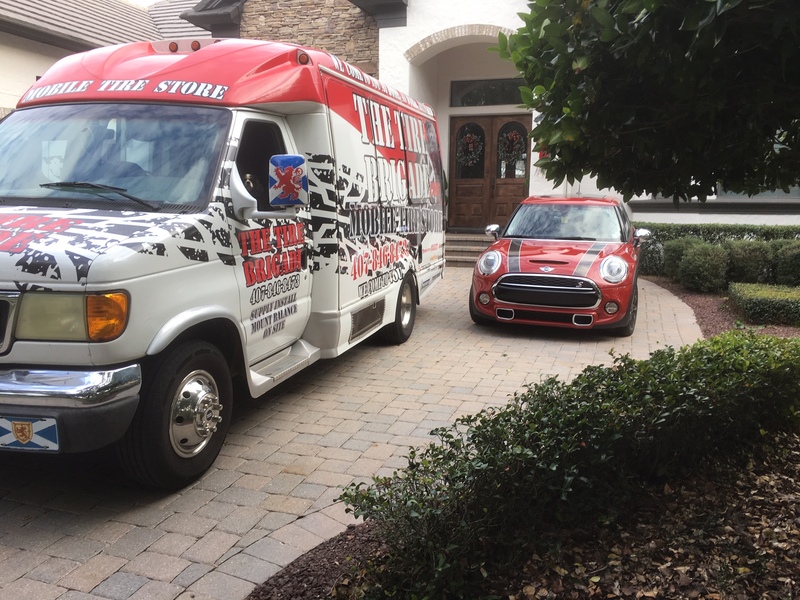 The Tire Brigade – Mobile, On-Site, New Car Tire Installation Service. 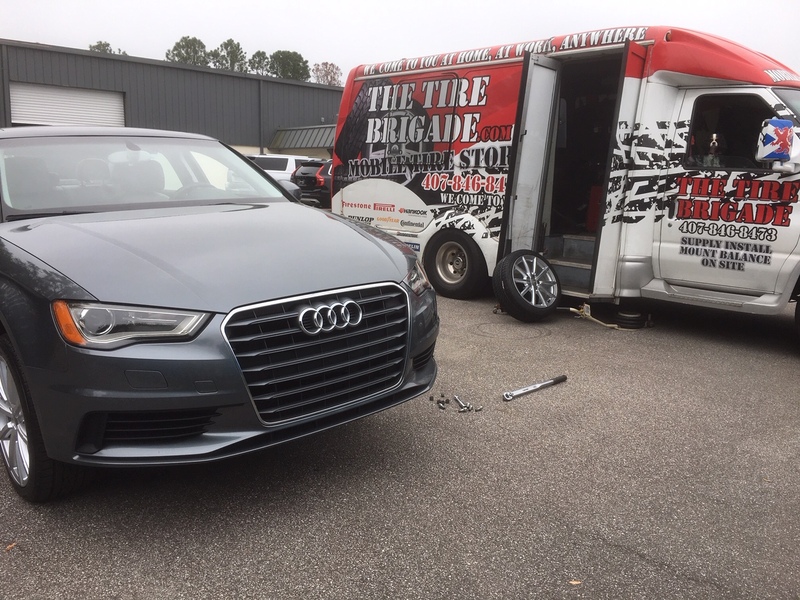 The Tire Brigade | Mobile, On-Site, New Car Tire Installation Service. We even have a mascot! Why wait at a tire store for your new tires? Need New Tires or a Tire Repair for a Car, Van, SUV or RV? Choose your tire by size and brand! Let us know when and where you want your new tires installed! Place your order and we will let you know when were on our way! Alloy and chrome wheels up to 24 inches can be supplied, installed, and balanced at your location. We will bring our mobile fit and balance business to you! Ive Had the pleasure of meeting with David three times and I say pleasure even though I pay . The service is more than worth it and as a single father raising three kids, David of tire brigade also has a good heart!!! paul L wurm Again what a great job David, I called David today explaining to him I would be traveling to Ft. Myers for Easter with my eldest son, I know Davids schedule was very busy today, but his sincerity and safety for his customers,he put me first on his list. he was at my door @8.30 this morning with tires in hand, (on truck) knowing I would be traveling with my family, he put everything down and came to my rescue. I'm sure you would not find this type of service or sincerity through Tire Kingdom,SEARS or Goodyear or any of the other big tire companies, plus you may save a buck. Thanks again David for the great service, and I'm sure you'll be seeing me again 50.000 miles from now. You and your family have a great Easter. With Sincere Appreciation and best regards, Paul L Wurm. Can you balance wheels on site? Yes, we can balance any car, van or SUV wheel on-site, we have a computerized wheel balancer onboard the mobile unit that will come to you. How long will the work take once you arrive on-site? This depends upon the work that is required, and the vehicle we are working on, it does not take any longer than having the work done in a store, the difference is, you don’t have to wait in line, service is personal “one to one” and you can do whatever you need to do, while we do the work. Yes, all of our work is guaranteed, and tires carry the manufacturer’s warranty. How can you be so competitive on price, and still come to me? The Tire brigade does not carry the overheads of many of our competitors. We don’t need large main Street retail stores, we don’t use high priced advertising. Word of mouth and recommendation is the best form of advertising, The Tire Brigade wants your repeat business, the best way to get this is to keep our customers happy. Our best advert is our satisfied customers. Do you repair tires on site? Yes we do repair tires on site, provided the repair can be carried out within the manufacturer recommendations, repairs include, a new rubber valve stem and the wheel re-balanced. Do you do Motorcycle tires? No we do not, we are a car van and SUV specialist company. Our fitting and balance machines are state of the art, and designed specifically to deal with modern day high performance wheel and tire combinations on car, van & SUV’s, we at the present time do not provide the service outside of our specialist market. Do you attend roadside breakdowns? Most of our work is pre-booked, although we will always try to attend any situations where circumstances allow. How much room is required to carry out the work? We only need the space it takes to open your car door, so long as you can open the car door and walk around the car, we have enough space. Do you do tires for fleets, large and small? Yes we do, we have many ways to help any size fleet owner or operator to get the very best from their tires. We carry out on site tire safety inspections, highlighting any worn or damaged tires before they become a roadside problem. 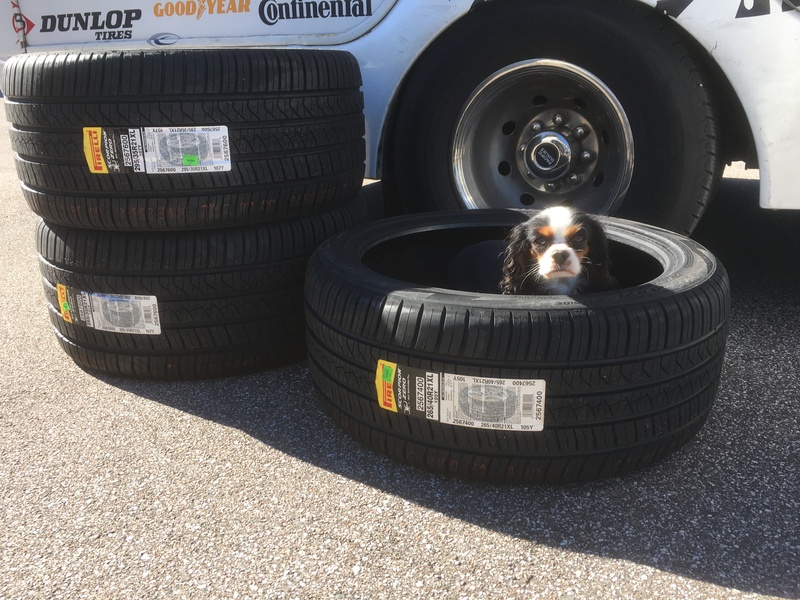 We are always willing to help with tire awareness days, whereby we attend a companies location and will assist any and all drivers in checking tire pressures and help to familiarize drivers with the cars own jack and lug nut wrench so that they are able to fit their own spare in any situation.